We are Jaap Griffioen and Jaap de Waard, lecturers of Mathematics Education in the School of Education [Teacher Training] of Rotterdam University of Applied Sciences. We both take a keen interest in numbers and mathematics. We have been friends in Mathematics education for a long time and we would like to share our enthusiasm for Mathematics with our colleagues. A colleague in Namibia called us ‘Jaap2‘. 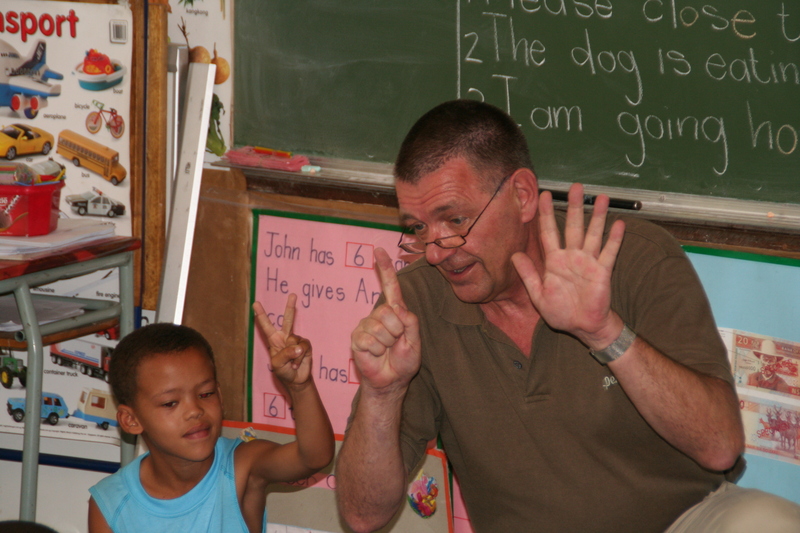 Jaap Griffioen started as a primary school teacher. After several degree programmes he worked as a principal of a primary school, director of principals of several primary schools, lecturer of Mathematics at the School of Education [Teacher Training] of Rotterdam University of Applied Sciences and Head of Department of Mathematics Education of the School of Education [Teacher Training] of Rotterdam University of Applied Sciences. Jaap de Waard started as a primary school teacher. After several degree programmes he worked as a secondary school teacher in Mathematics, lecturer of Mathematics at the Rotterdam School of Engineering of Rotterdam University of Applied Sciences, lecturer of Mathematics Education at the School of Education [Teacher Training] of Rotterdam University of Applied Sciences and Head of Department of Mathematics Education of the School of Education [Teacher Training] of Rotterdam University of Applied Sciences. The cooperation of Windhoek College of Education, Hermann Gmeiner Primary School in Windhoek, Elim Primary School in Windhoek and Rotterdam University for Applied Sciences started in 2008. It was the start of a partnership for five years. We wanted to learn from each other in the field of teacher training and primary mathematics education. In consultation with all participants in the collaboration we decided to focus on the mathematical development in the Junior Primary: the foundation of mathematical development. A good foundation is a good starting point for further development! After the National Mathematics Congress in Swakopmund in 2011 the cooperation of the National Institute of Educational Development of Namibia [NIED] and Rotterdam University of Applied Sciences started. We work together on the development of mathematics education in the Junior Primary and periodic training in the field of mathematics education in Namibia. 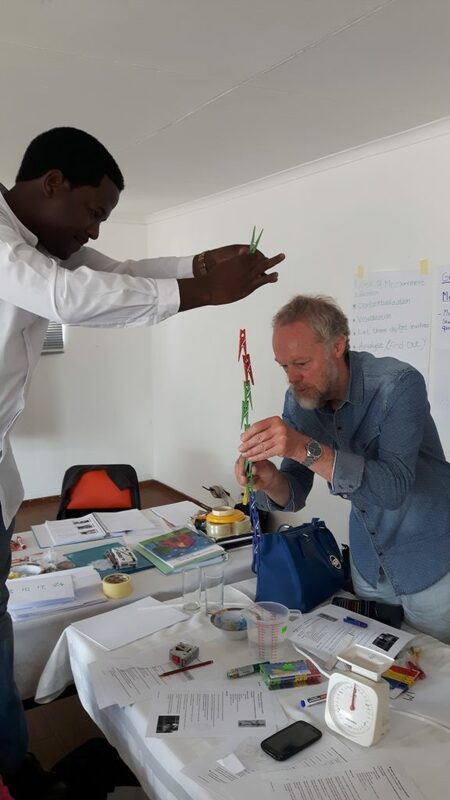 In this website you find a lot of materials we used during workshops at Hermann Gmeiner Primary School, at Elim Primary School, at Windhoek College of Education, at UNAM or during training weeks with Junior Primary Advisory Teachers in Okahandja and Otjiwarongo. You find materials in the field of Number Concept Development, Geometry, Data Handling, Measurement and Hints for effective math lessons. The Teachers Guides have been developed with the support of the Rössing Foundation in Namibia. The workbooks Math Tiger – Grade 1 have been composed by Teun Hanemaaijer, Jaap Griffioen and Jaap de Waard, in good cooperation with Alina Niipare. We invite you to share your experiences with the materials with your colleagues and with us. Sharing your experiences and your ideas will help you to develop your knowledge and will make you a ‘richer person’!